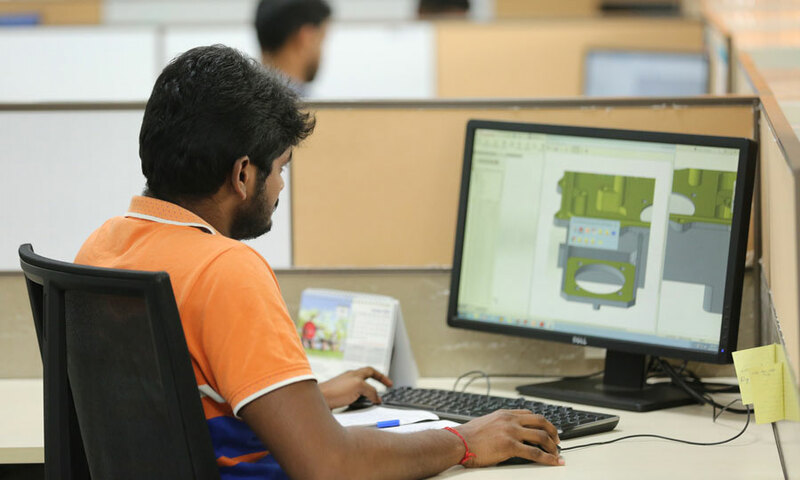 The Part development center is a dedicated facility of 50 Engineers with around 300 Man years of experience in Process design, CNC Programming, 3D Modeling, Engineering Change management, Tooling & Fixturing design, Special Processes, Quality management Systems and First Article documentation. 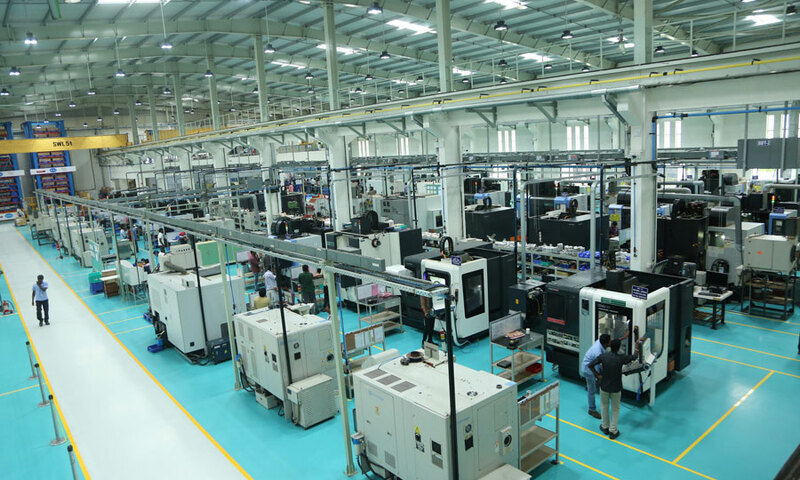 This Center is equipped with 9 Machines including CNC Turning, Turnmill, 3-4-5 Axis Milling Centers and CNC Vertical Turnmill center. Solid works is used for 3D Modeling and Uni Graphics for CAM. 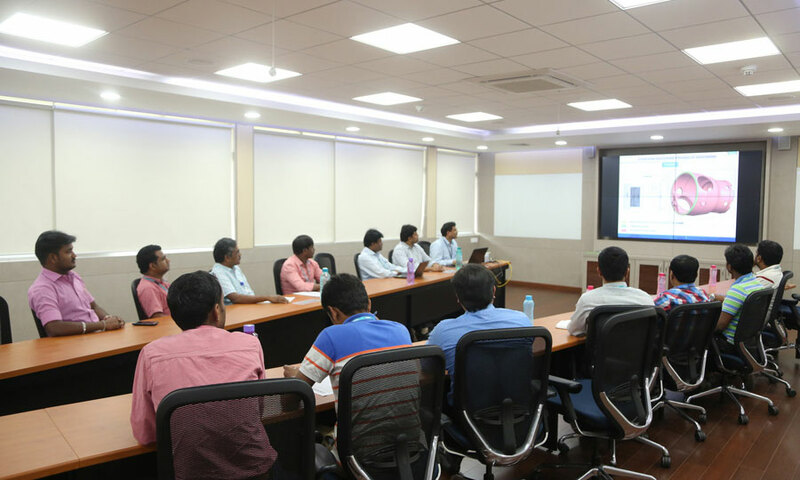 The facility being dedicated and being equipped with similar facility as in the Serial production manufacturing shop, gives greater focus to First Article development and ensures timely delivery of New products. 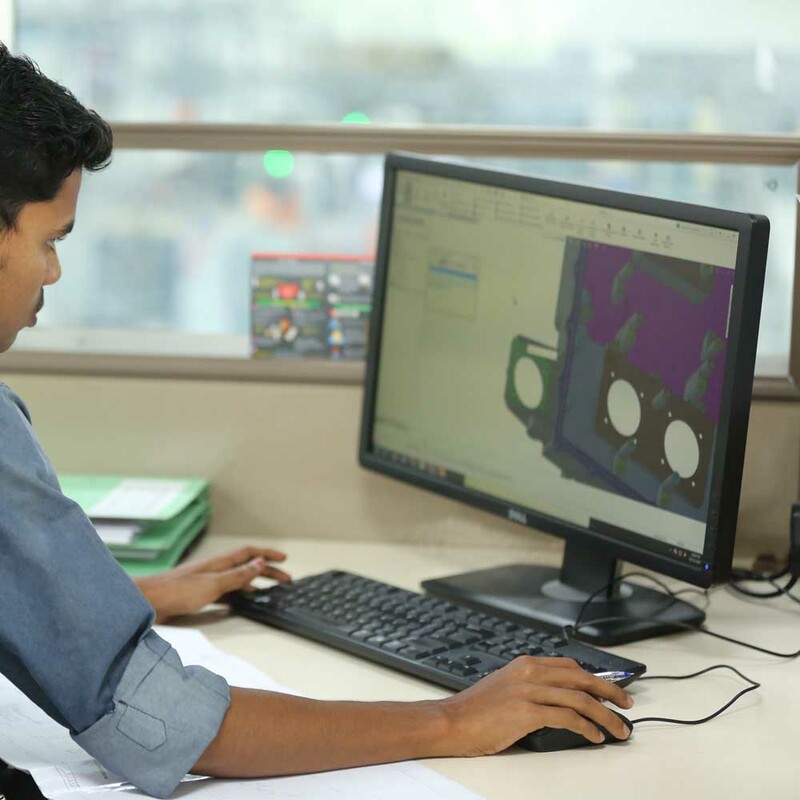 This Center ensures that the major process issues are ironed out before serial production, thereby ensuring a seamless serial and reliable serial production delivery.